Next departure from Prague to Munich is on Fri, 3 May. Approx duration 5h45m. Coaches will pick-up passengers every 2 days. We recommend you stay with PLUS Prague. Rated 85% on Hostelworld. PLUS PraguePLUS Prague sets an amazing standard for hostels, not just in Prague, but Europe as a whole! Just a short ride on the tram from Prague's stunning historic city centre, we boast a free sauna & indoor saltwater swimming pool open year-round to sweat off some of that fantastic Czech beer! We're also… read more. Includes 24 Hour Reception, 24 Hour Security, Bar, Free City Maps, Free Internet Access, Free WiFi, Fridge/Freezer, Restaurant, view all facilities. Prices from €4.50 per person. Notes: **Please note: The pool is temporarily closed for significant reconstruction work and is expected to reopen within the first half of March 2019. The sauna will remain open for most of this period but may also be closed for a few days. We sincerely apologise for this inconvenience while we’re repairing and improving our facilities. ** The maximum length of stay in shared dorms is 10 nights; if you wish to stay longer, please speak with us and we'll prepare a special offer for you. Restaurant hours may be limited during the low season (November to March). Check-in is from 3pm and check-out is by 11am. You may be able to check-in early if your room is ready but this cannot be guaranteed. Late check-out may be possible at an extra cost. Groups must pay a security deposit upon arrival, which will be fully refunded provided no damage occurs. Children under the age of 16 may not stay in shared dorms, even with a parent/guardian present. If a member of your party is below 16 years of age, you must book a private room or risk being turned away upon arrival. Small pets are permitted in private rooms for a surcharge with prior approval and confirmation directly from the hostel. Currency Rates & Payment: We can accept Euro notes (no coins) for final payments at the hostel and will issue change in local currency. The exchange rate is set by the hostel and may differ from the rate when you paid your deposit online, as market rates fluctuate. We also accept all major debit and credit cards, which will be charged in CZK and the conversion is at your bank's given rate. Please note we have 2 days cancellation policy and you have to cancel/modify your booking directly with the hostel. In case of later cancellation or no-show, the hostel will charge the first night as penalty.’ This property may pre-authorise your card before arrival. Conditions: The maximum length of stay in shared dorms is 10 nights; if you wish to stay longer, please speak with us and we'll prepare a special offer for you. Restaurant hours may be limited during the low season (November to March). Check-in is from 3pm and check-out is by 11am. You may be able to check-in early if your room is ready but this cannot be guaranteed. Late check-out may be possible at an extra cost. Groups must pay a security deposit upon arrival, which will be fully refunded provided no damage occurs. Children under the age of 16 may not stay in shared dorms, even with a parent/guardian present. If a member of your party is below 16 years of age, you must book a private room or risk being turned away upon arrival. Small pets are permitted in private rooms for a surcharge with prior approval and confirmation directly from the hostel. Currency Rates & Payment: We can accept Euro notes (no coins) for final payments at the hostel and will issue change in local currency. The exchange rate is set by the hostel and may differ from the rate when you paid your deposit online, as market rates fluctuate. We also accept all major debit and credit cards, which will be charged in CZK and the conversion is at your bank's given rate. Please note we have 2 days cancellation policy and you have to cancel/modify your booking directly with the hostel. In case of later cancellation or no-show, the hostel will charge the first night as penalty.’ This property may pre-authorise your card before arrival. The macabre sight of Kutná Hora’s bone chapel draws visitors from all over the world. Home to much more than pyramids of skulls and bones, it was the economic powerhouse of the Kingdom of Bohemia and played a crucial role in the 15th century Hussite Wars. Kutná Hora’s rich heritage was born in the days when the city competed with Prague both economically and culturally, becoming the favourite residence of several Bohemian kings. Try some of the world’s finest beers and experience classic Czech hospitality in some of Prague’s best-loved bars. The Czech capital is a Mecca for beer lovers, and the birthplace of the famous Pilsner lager. This tour will reveal the best-kept secrets of the national drink – learn how Czech beer is made, why it is considered the best in the world, and why the Czechs drink more than anyone else. Meet at our official Prague Pub Crawl Bar, with unlimited power hour – meaning you’ll never have to wait for a drink, as the bartenders keep the beer, wine, absinthe and vodka flowing. Come and join the fun, we will crawl to at least three other bars where you receive a free welcome shot and we’ll finish at the 5 story mega-club (the biggest in Central Europe). 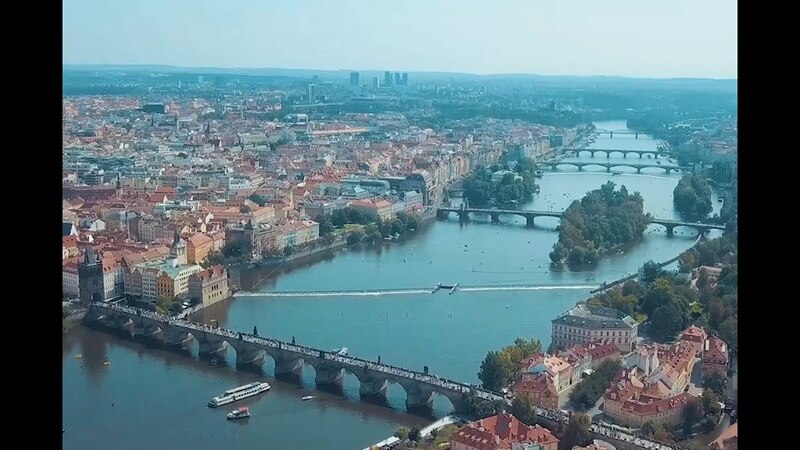 Known as the Golden City and the City of a Thousand Spires; Prague has been sweeping visitors off their feet for centuries with its romantic streets, soaring towers, and great beer! From the heart of medieval Bohemia to the capital of the Holy Roman Empire, the glory days of Prague’s rich culture are shadowed by oppression, under both the Nazis and the Communists. Prague Castle dominates both the skyline and the history of the Czech capital. The world’s largest medieval castle has towered over the city since the 9th century and continues to awe and inspire today. Your expert guides bring to life the legendary court of Rudolf II, the nightmares of Kafka and the very real struggles of the Velvet Revolution. This tour finishes in the Prague Castle gardens, overlooking the Old Town giving you the best views of the city. It's Prague's perfect irony. You are lured by the past, but compelled to linger by the present and the future. Fill your days with Prague's artistic and architectural heritage, but after dark move your focus to the here and now in the lively restaurants, bars and clubs in emerging neighbourhoods like Vinohrady and Žižkov. Old Town Clock Tower and Astronomical Clock Prague’s #1 attraction, this astronomical clock has been going since 1410, showing a walk of the Apostles and the figure of Death every hour. Petrin Hill Hill across the river from the Old Town with a fake miniature Eiffel Tower, Mirror Maze, Observatory and funicular. Prague Castle The largest castle complex in the world- the views from this spot aren’t too bad either. Lennon Wall Colourfully graffiti’d wall honouring John Lennon’s message of peace, dating back to the Communist era and still going strong. Jewish Quarter The old Jewish part of town is now the best place to learn about Jewish culture in the many synagogues-turned-museums and the Jewish Cemetery.